I love how being an Amazon Prime member has made my life easy. Anything from clothing to toiletries is right at my fingertips. When a blizzard hits and I can’t get outside I can still place an order that will be at my mailbox in two days. It’s amazing how many different products Amazon now carries. But you might never guess the best Amazon purchase we’ve made so far. Alex and I had been hemming and hawing for months over buying ourselves a new mattress. His queen bed made the move to our current apartment but broke a spring in the process. For the last year and a half, I’ve been sleeping on an uneven side of the bed. It caused us both to roll towards the middle of the bed during the night. Also, it was leading to some near-suffocation accidents by pillow. It was time to toss the mattress. Our main hesitation in buying a new mattress is that we’d ideally like King size, but our current apartment only fits a Queen. With a move assured within the next 2-3 years we didn’t want to spend a ton of money on a mattress now. And most mattresses cost a ton of money. Consequently, Alex and I read the reviews — over 4,500 of them — and were intrigued. 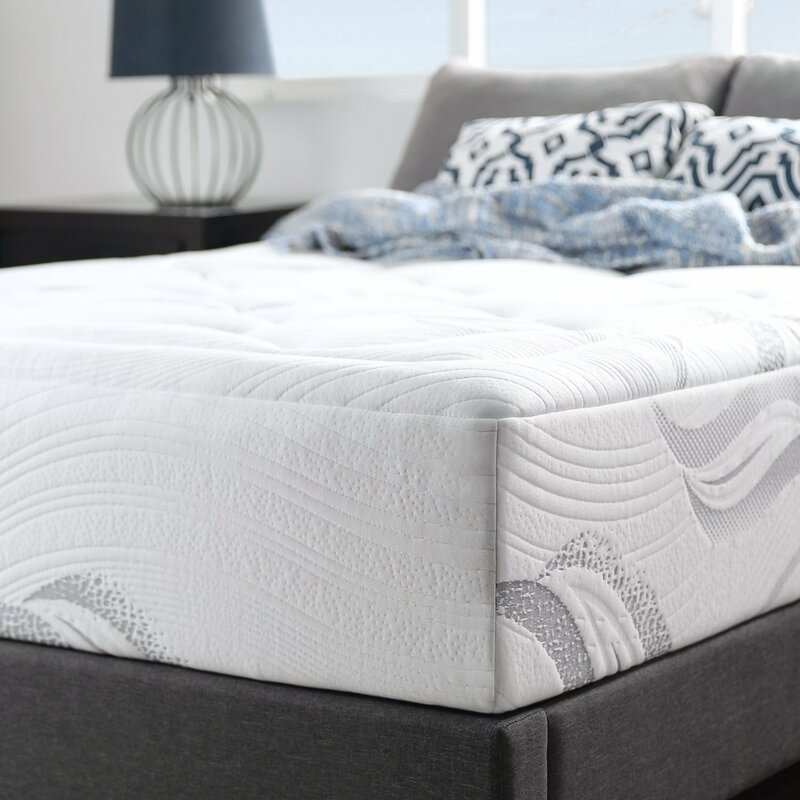 This sub-$400 mattress is very highly rated! It averages over 4 stars as of this writing. Ultimately we decided that though $400 is a lot of money it’s a drop in the bucket of mattress prices. Better yet, when we went to make the purchase the mattress had dropped to $265 for the Queen size mattress in 10 inch thickness! Would this be the best Amazon purchase we’ve made, we wondered, or the worst? The bed arrived in no time flat. In fact, it was in a box. We felt sure Amazon had made a mistake and sent us a Twin size mattress when we first opened the box. We discovered the bed was folded in half the box after unwrapping it. Before work one morning we laid our new memory foam queen mattress over our old one to air out. The mattress was only about 7 inches thick coming out of the box. Alex and I were exhausted after a productive day at work. Yet not too tired to take our old mattress out to the trash and commit to our new one. There was no turning back! We both noted that the mattress still seemed a bit short even after airing out for several hours, but we plopped in anyway at bedtime. The next morning I awoke to kisses and Alex saying in my ear, “Best sleep everrrrrrrrrrrr.” My normally tossy-turny fiancé who wakes up at my every move or shift had slept through the entire night. So had I! Though excited, we both demurred that perhaps it was first night luck. Now, almost a month later, I can safely say that this mattress is the single best Amazon purchase we’ve made so far. Alex and I both marvel at how well we sleep! I move or shift and he still sleeps peacefully next to me. The mattress is cool and breathable. It’s firm but not too hard. Best of all, over time the foam has expanded to its full 10-inch height. I can’t say exactly when it happened but I have noticed that the edges of the bed went from feeling possibly under-filled the first few nights of sleep to perfectly foamed now. Have you made any Amazon purchases that surprised you with their awesomeness? Before this mattress, the best Amazon purchase we’ve made is this cheese board with serving pieces and utensils included, which we absolutely love and order as a gift often. If you’re not yet an Amazon Prime member, you can try Prime for free for 30 days via my link. Next Post Today’s Fresh Anthropologie sale items for March, plus Free Shipping! I love Amazon Prime- I order SO much from there! Me too! Hard to imagine life without it. Amazon is hands down the way to go for purchases like this!!! What a great experience. I was so happily surprised! We might order a chair from them next. I would have never thought to buy a mattress on Amazon. But the fact that you said it is your best Amazon purchase makes me want to look into this more! It feels just as nice as beds we tried that were ten times more expensive. Color us impressed! Such a great purchase, a new mattress is life saving! I love that this looks super comfortable without sacrificing the size! Seriously, it made our relationship 10 times better. That mattress looks so incredibly comfortable! It is heaven every night! Neither of us have trouble falling asleep anymore. 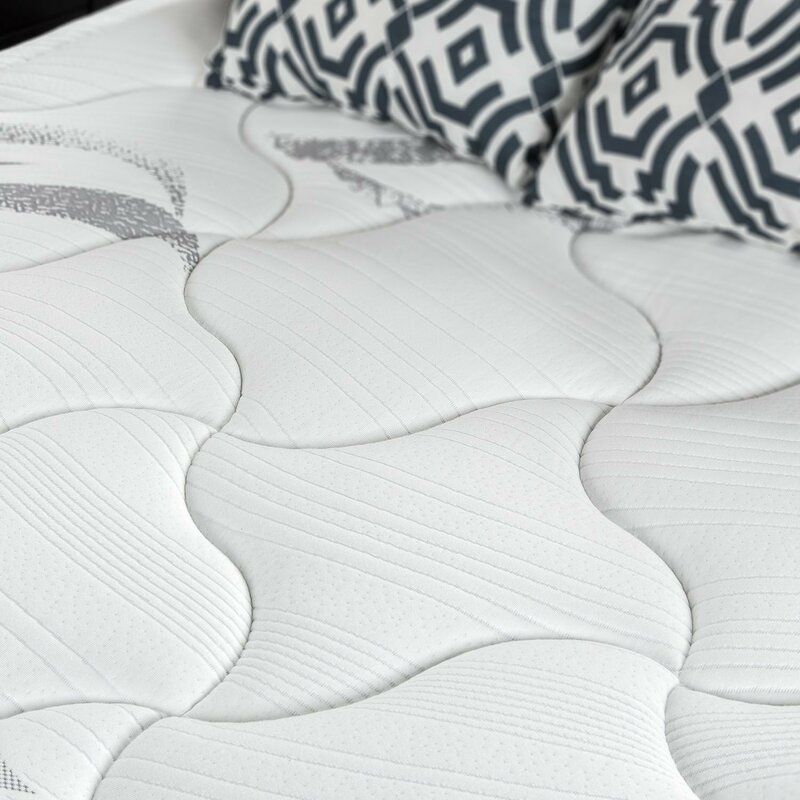 I have heard so many great things about these foam mattresses from Avon, my friend bought two for her 6'5"+ sons and they love them. I might have to do it! Now if I could just find a comfortable pillow. Ha! The pillow struggle is real. Our current favorites are king sized body pillows from Costco. We tried Purple's pillows, and they are OK, but so heavy. They're a pain to re-set when we're (I'm) making the bed in the morning. Wow this mattress sounds amazing! We are in desperate need of a new mattress, I'll have to check it out! I ordered my mattress about a year ago from Amazon. The price was way less than a mattress store. They also had an add-on haul away option to get rid of my old mattress (extremely heavy with stairs involved). I got one of the Pure Green Natural Latex mattresses (latex foam). 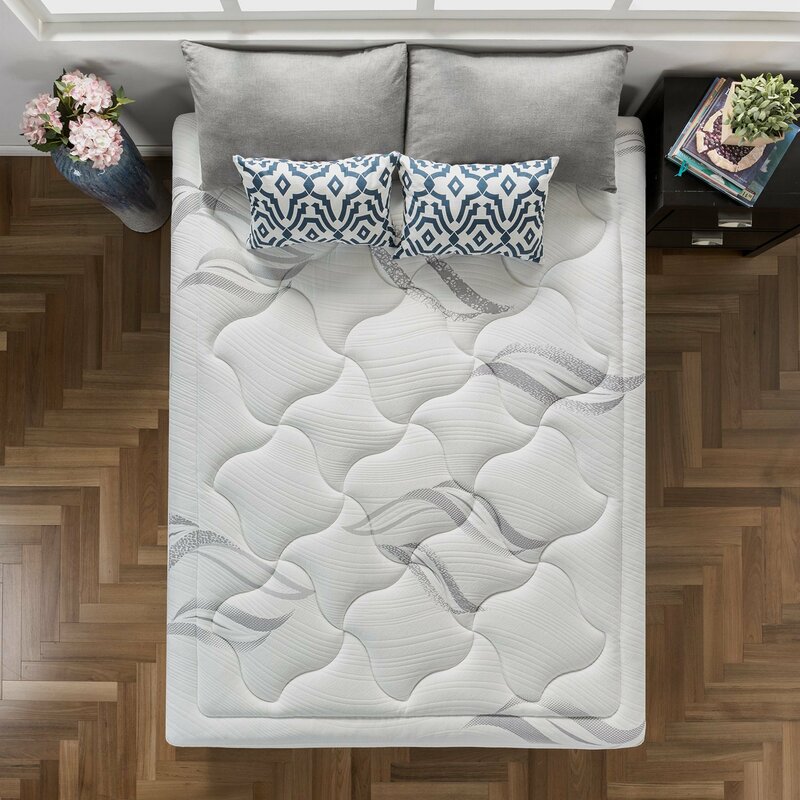 It is the most comfortable mattress I have ever owned and shows no wear after 1+ year of use. I will never buy another coil mattress. Your bed looks so soft and comfortable. Never would have thought about getting it from Amazon! Amazon Prime is the BEST – completely obsessed. We are in need of a mattress so bad!